Julia was born in Pennsylvania to Irish parents. Census records suggest she never married. By 1880 she was living in Goodwin's District, Gwinnett County, Georgia with her sister-in-law Elmina Graham Goodwin. 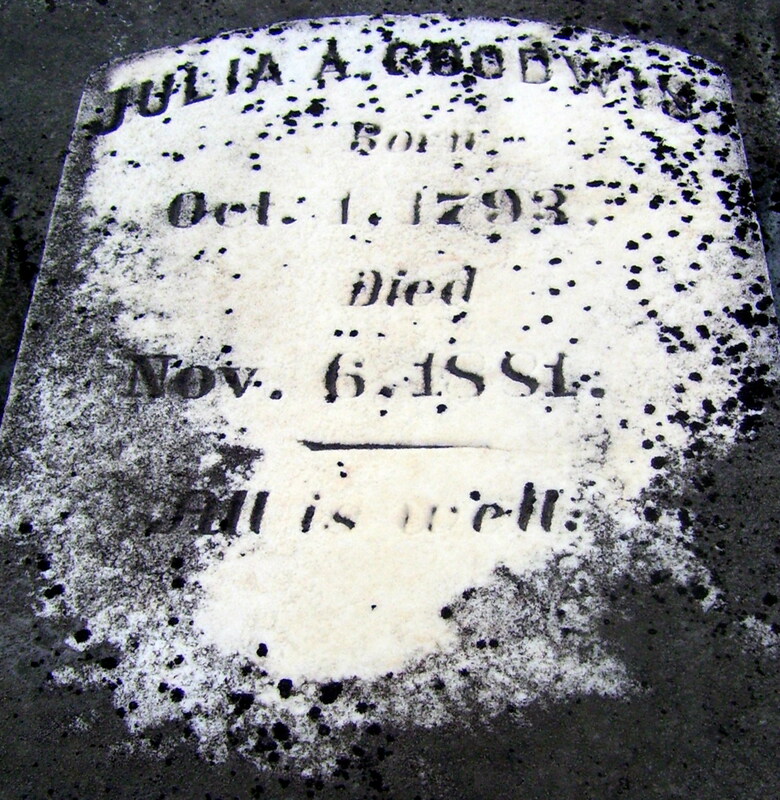 Julia was laid to rest in the Goodwin Cemetery, presently on Highway 120 in Duluth, Gwinnett County, Georgia. We'll be discussing the Goodwins of Gwinnett County again soon.